Paul is a high school student with a visual impairment. His acuity is diminished, and vision is blurry, which makes it necessary for him to enable certain accessibility tools when using the computer. Enabling these features at home is no problem, but the computers in his classroom and school library have been locked down prohibiting him from activating the needed tools without the assistance the technology director. Once Paul is finished using the computer, the technology director restores the settings to their original formatting for the rest of the student body, forcing Paul to repeat this request each time he wants to use a computer. This scenario is one that occurs in school districts throughout the country whether it is a visual impairment, physical disability, hearing impairment, or other disability. The scene can be both embarrassing and isolating to a student, accentuating, to not only the student, but others as well, that this student is different. The district will state that accommodations are provided the student, but at what cost to the student’s privacy? The answer to this issue could lie in the Cloud. The Cloud is the emerging technology that is set to transform computer use for all, but most excitingly for those with disabilities. 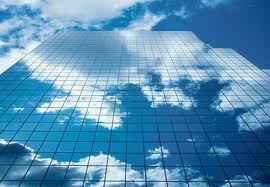 The term cloud computing is the buzz term capturing the attention of software developers in all fields. Many already use a form of the Cloud when we access our email from a service like Google or Yahoo, or store files to Dropbox or Amazon’s Cloud. These services only require us to create an account and log on to begin our Cloud need – our email is on the cloud, our files are on the cloud—nothing is saved to our personal computer. With the Cloud comes mobility, and the familiarity that a user feels on their home computer will soon be available on any device. Cloud computing is essentially another term for the Internet. The term “cloud” does not literally reference an object up in the air somewhere; instead the Cloud is actually a network of computer servers that hold data and applications for use by individuals or businesses. The Cloud makes it unnecessary to house applications on a hard drive. Individuals can use a browser to access applications of a user’s choice. The Cloud of network computers may house an entire platform, an array of applications, or a selection of infrastructure needs to serve a variety of clients. What this means for a user is the ability to create and access personal profiles and assistive technology tools anywhere, anytime. Users are no longer tied to their personal computers, and that means freedom for those with disabilities that rely on specific accessibility tools to help them navigate the web and create documents. Any computer can be used to log on to a Cloud service to access stored documents or browse the web utilizing the information that a user has stored in their profile. Developers across the globe have been working to create a service for those with disabilities utilizing the Cloud. Two companies that have been making great strides to implement such a service are Lucy Tech Inc. (LucyTech) and Global Public Inclusive Infrastructure (GPII). Each of these companies aims to close the digital divide among all users, and make the Internet a landscape of equality. Their visions are to eliminate barriers for those with disabilities in education, the work place, and access to information and services. GPII indicates that their enhancements will “provide the infrastructure to enable the Internet to be truly inclusive for the first time.” The GPII project and the Lucy Project are exciting emerging technologies using the Cloud to enhance the lives of those with disabilities. LucyTech is a Swiss-based technology company. The Lucy project is the creation of Claudio Giugliemma, President and Founder of the Dominic Foundation, a foundation that has worked toward creating information and communication technology accessible for all. Claudio is also the founder of QualiLife, Inc., a Swiss-based company recognized for its leadership in software solutions for those with disabilities. QualiLife’s research and development on assistive technology software is award winning and renowned for making an impact on the lives of the disabled. The services provided by LucyTech’s Cloud will be available in Europe in October 2011, and then expanded to the United States and Canada a few weeks later. The service will be initially launched for Internet Explorer 9, and then released for the Android, iPhone and iPad by the end of 2011. Services. Many of the services that those with disabilities use soon will be available on the Cloud. LucyTech’s platform will implement screen reader, screen magnifier, voice commands, tracking system based on Webcam, text-to-speech, virtual keyboard, and many other commonly used tools. The LucyTech platform will require a user to create a cloud-stored profile indicating their assistive tool needs. At that point, the user will be able log on to any computer and access their stored profile that will utilize their tools of choice. In addition, the LucyTech Cloud will make available commonly used software applications such as Word, Excel, PowerPoint, Agenda, e-Mail, Audio & Video calls, Instant Messaging, Multimedia and Entertainment, direct access to Social networks, and much more—all free to the user. LucyTech is making great strides in breaking down barriers and creating opportunities for those with disabilities in education, employment, and access to information. GPII is the project of Raising the Floor, an organization based in Switzerland with affiliates in the United States, Canada, and Spain. It is comprised of individuals and organizations whose mission is to make the web and mobile technologies accessible to everyone with disability, literacy and aging-related barriers, regardless of their economic status. Their goals focus on the availability, effectiveness, and affordability of technology for the disabled. Although the project is only in its planning stages, GPII has begun a project that aims to close the gap in technology for those with disabilities. Services. The services through GPII will be provided through an assistive technology service. It is expected that the provider will make available screen readers, speech generation, content modification, and interface simplification, and other tools currently used by many. The Cloud is the service that can level the playing field and where those with disabilities can acquire the tools they need all in one place. No longer will they be tied to their personal home computer, but can confidently and freely access the Internet and documents empowering those that may need assistive devices. Their tools will be a few keystrokes away creating accessibility everywhere. http://www.kurzweiledu.com/kurzweil-3000-v13-windows.html Kurzweil 3000 is a text to speech product that comes in a web license edition (yearly subscription other delivery models available) that includes cloud storage and maintains user preferences due to each student having a unique log on. Check it out.